FREEPORT, The Bahamas (May 13, 2013) - GAT CARAIBES, a group of transportation companies in Martinique, will present its strategic plan to the 12th Annual Caribbean Shipping Executives Conference (CSEC XII), which opened today at the Grand Lucayan Beach and Golf Resort on Grand Bahama Island. Hosted by the Caribbean Shipping Association (CSA) from May 13 to 15, shipping industry executives from Europe and North America are joining their counterparts from the Caribbean and Latin America for three days of discussions and presentations on a wide range of issues and trends in the maritime sector. Martinique's newly formed cluster "GAT CARAIBES Logistique et Transports", along with other national shipping associations of the Caribbean, are presenting their plans as part of a wider regional contribution to the development of the region's shipping sector. The port of Fort-de-France is undergoing a massive expansion and renovation to handle Post-Panamax vessels and to prepare Martinique to become a major Caribbean hub and a gateway to Europe. 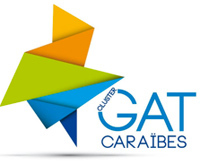 GAT CARAIBES, comprising members from both the public and private sector of Martinique, plays a major part in the design, modelling and dissemination of solutions for transport and logistics, sustainable development, not only for Martinique but for the rest of the Caribbean. Annual objectives include a freight exchange solution for the Caribbean (in the Americas and to Europe), the development of ICT solutions for transport and logistics, business tools to improve logistics performance, and the use of "intermodality" for both freight and passenger transport. Conference presentations cover international trade and corruption, the readiness of marine pilots for the opening of the expanded Panama Canal, and the passage of massive ships and their demands on regional ports. Alternative energy, the economics of ocean cargo and the competitiveness of regional ports will also come under expert scrutiny. Several owners of shipping lines and participants will also be exposed to the latest trends and technological developments planned for wide deployment in marine terminals of the future. Representatives of GAT CARAIBES are looking forward to forging agreements with other clusters in the region and creating synergies for transportation and logistics in the Americas.